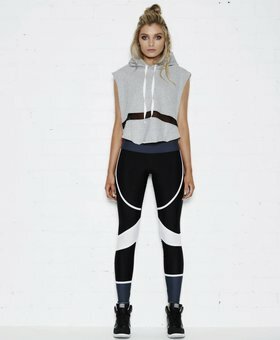 TULLY LOU is a modern day sportsluxe activewear brand born in Australia that merges the boundaries between high quality performance activewear with standout, fashion forward streetwear design. The styles are a mix of Australian sportsluxe combined with LA’s urban fashion. Perfect to wear to any workout or other occasions such as festivals or a day at the park. The lovely dresses are perfect to wear for drinks and other casual activities as well. We love TULLY LOU as it combines urban with sports, with the combination of baggy with tight, the styles are comfortable and very fashionable and therefore perfect for so many occasions. TULLY LOU’s is still a new brand and therefore you’ll be definitely unique and make heads turn wherever you wear it! Perfect for ladies & women who are looking for fitness fashion & sports fashion.